The effects of thumb sucking and pacifier use. Most parents get concerned when they see their infant or toddler sucking their thumb or using a pacifier. 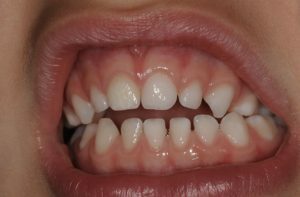 According to the Academy of Pediatrics almost 100% of babies will engage in nonnutritive sucking and typically begins around the 29th week of gestation. Nonnutritive sucking has many benefits as it helps infants in their ability to manage emotions, helps them relax and provides comfort and security. Sucking tends to occur more often when the child is tired, anxious, or upset. 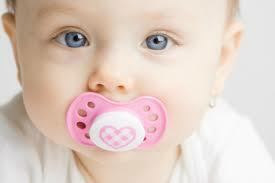 It has also been cited that the use of a pacifier has been shown to decrease the incidence of Sudden Infant Death Syndrome. Ideally the habit should stop by the age of 3. If it persists, parents may notice that the habit is interfering with their child’s speech. Dr. Ross Levine is a Board Certified Pediatric Dentist. Growing Smiles in Floral Vale has been Voted “Best in Bucks” since 2013 and both Dr. Sheryl Radin and Dr. Ross Levine were voted “Top Doc’s” by Philadelphia Magazine.